No “feminist” would write or say this. Unfortunately, the abomination of faux comedienne Kathy Griffin is not going to stop until she is banned from all media outlets or dies. 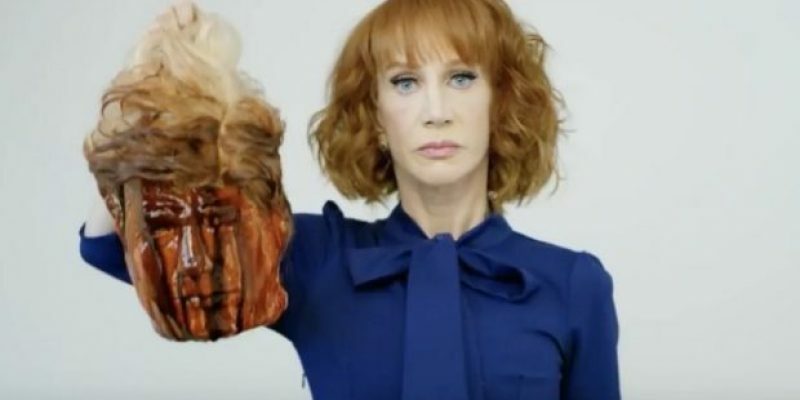 She recently rescinded her apology for showing a bloody decapitated head of Trump on a video last year. Now she’s going after the First Lady, an image of grace, beauty, and many other qualities Griffin will never have. The below rant on Twitter is hate speech, and it’s not protected by the First Amendment. If Griffin doesn’t stop she needs to be arrested. And what about Twitter? Doesn’t this at least violate its community standards? Griffin represents the unfortunate face of mental illness and should be given medical help, and certainly not media attention. Before being arrested she should be committed. Something is definitely not right with her mind, whatever is left of it.